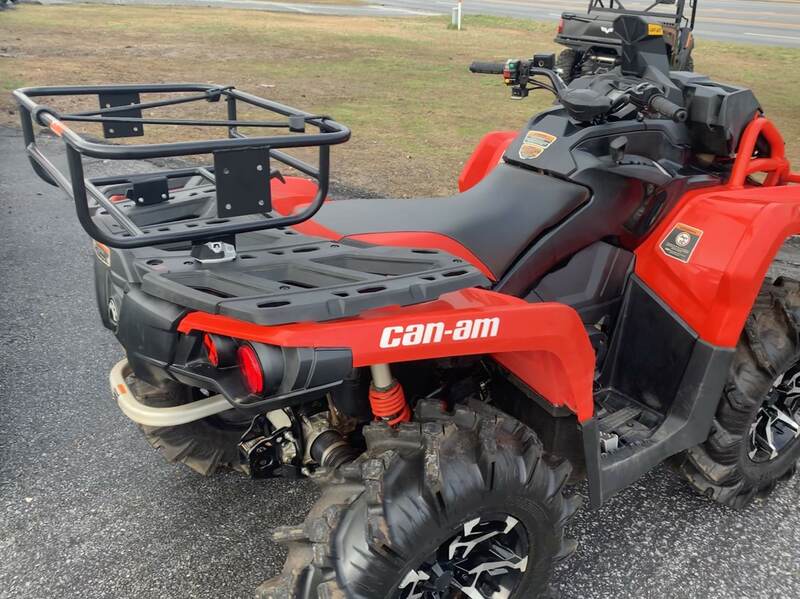 Can Am - BRP LinQ - Cooler Rack - Get it Today! Universal Off Road Cooler rack made of high quality marine grade stainless steel and then professionally powder coated in flat black and includes all the necessary parts for an easy installation. 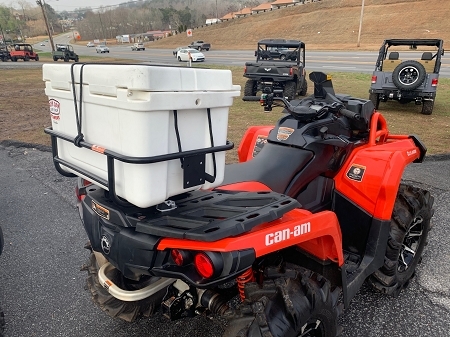 Our cooler racks can fit up to a 54-60 Quart Cooler and a Yeti 45 Cooler. See dimension below for measurements. Our ATV cooler racks includes the LinQ brackets for easy installation on Can Am, BRP and SkiDoo Products.